Let’s start from implementation of full supernode, which is essentially an implementation of real-time authorizations (RTA). Although we are close to the finish line, we do not release it yet to public alpha. We need more time for optimization, fine-tuning, and QA testing. One of the main reasons for the delay is an issue with communication. Unlike other two-layer cryptocurrency networks which use a separate mechanism for communication between their second-layer nodes, we reuse the existing peer-to-peer network as a basic transport. Our original algorithm finds the shortest and fastest routes between the supernonodes by maintaining a set of P2P tunnels through the network of cryptonodes. The main difference and greatest benefit of using the same communication base for two layers (both cryptonode and supernode networks) is not exposing the authorization sample’s supernodes – because in our design they are not required to have a public IP. Such design is the major difference and significant improvement comparing to other layer two implementations such as Dash masternodes. Remember that one of GRAFT’s key differentiators and goals is absolute privacy initially provided by underlying CryptoNote blockchain protocol, which is the first layer of GRAFT platform. The fact that the auth sample supernode does not require a public IP attached to it makes GRAFT even more private and decentralized, because the supernodes are less dependant on regulated hosting providers. Without public IP the supernodes are “hidden” behind the large, distributed, and complex P2P network, which makes them less vulnerable to DDOS attacks. At the same time, the hosting and maintenance are less complicated and less expensive for supernode owners. (Note that wallet/POS proxy supernodes, which typically belong to service providers and large merchants, still require public IP address in order to be able to serve wallets and POS/payment apps). However, such great benefits do not come for free. Along the way we found several issues in existing CryptoNote/Monero P2P communication implementation, which we are fixing in order to make it more efficient, stable, and suitable transport for our purposes. With that said, we anticipate the public alpha of supernode with RTA to be released by the end of July. Meanwhile, we will start a private alpha release for testing in a coupe of weeks, so if you are interested in helping us with preliminary testing please contact us at dev@graft.network. While working hard on RTA implementation and getting ready to its production launch, we realized that hosting a supernode, either full (authorization) or proxy/gateway, requires a special DevOps skill set, so we are working through making arrangements and building relationships to provide turnkey solutions to supernode owners and merchant service providers. We are continuously working on improving the Verifone terminal app so it will be fully polished for production by the time RTA is released. As Verifone have written on their merchant marketplace website, where GRAFT app is listed as the Featured Apps Partner, “Our app partners are working around the clock to help empower our merchants with applications that enrich the customer experience and provide business productivity.” This is absolutely true statement, there is not much to add. Since the Verifone certification was achieved last month, we have done several improvements such as UI redesign (in both terminal app and our wallet), enhanced configuration utility for merchants, integration with CoinMarketCap for real-time exchange rates, and some bug fixes. Also, we are working on Ingenico terminal app integration into their marketplace. One of important and promising features we are planning to develop is using NFC (Near Field Communication) for initial engagement between the mobile wallet and terminal app, so instead of scanning QR code displayed on payment terminal the buyer will just wave the phone (the same technology is used by contactless payment cards and Apple Pay). Implementation of such a feature will help improve both buyer and merchant user experiences and reduce the overall transaction time. We will keep you posted about our progress in this area. We just finished design and now are ready to start implementation of the payment gateway which will facilitate GRAFT payments on online shopping platforms. Once implemented, integration with GRAFT payment gateway, among other features, will bring to online merchants and buyers a unique combination of absolute privacy and instant transaction confirmations (using RTA) – something they have never seen before. Plus, after we finish RTA and move to accept broker implementation, they will be able to accept various cryptocurrencies, while keeping the same benefits of privacy and transaction speed. We finally redesigned the app downloads page on our website, so now it’s easier to find all our apps, including wallets, and their releases for various mobile and desktop operating systems: iOS, Android, Windows, Mac OS X, and Linux. In recent wallet releases, we fixed some bugs and added new configuration options. The upcoming wallet release will support purchases with real time authorizations using full supernodes (currently it supports a limited version of RTA on testnet only). As our app for discovering and listing crypto-friendly merchants is gaining more popularity among crypto enthusiasts, we periodically release new features and bug fixes. 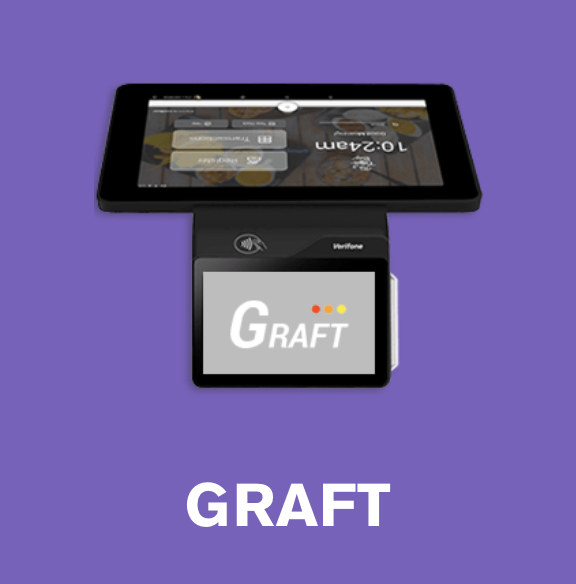 In recent CryptoFind version, in addition to bug fixes, we added a possibility to take a picture of the GRAFT sticker on the merchant’s window so the users can earn better bonuses.